Biblical Cannan refers to the present day Syria and Palestine and the neighbouring areas. The mythology of this region in due course came to be known as Cannanite Mythology. The trade routes led to a cross-cultural integration with two of the major cultures of its time, Egypt and Mesopotamia, which have left their impact on the Cannanite Mythology. The myth involves two main deities, the twins, Baal and Mot. It is important to understand the nature of the two deities. Baal is a deity of fertility, vegetation and a life giver. He is the protagonist of the myth. His twin, Mot is the antagonist and the opposite of all that Baal stands for. Mot is death personified and a sign of infertility and drought. This is also a classic myth of a set of twins who are both opposites of each other, but we will discuss this aspect a little later. The myth starts with a long-standing conflict between the two. At one point of time, Baal accepts Mot’s supremacy, but declines to honour him in any form, even when all the other deities do so. This angers Mot to no end and sends a giant lion to devour him. When Baal realizes that it is no use to resist and he has to give up, he sends message through the minor deities that he is willing to submit. But before he goes to meet Mot, he copulates with a cow, leaving his seed in the cow’s womb. When Baal reaches Mot, he is killed by Mot and there is no life on earth. Anath, was Baal’s sister and lover. When she came to know about the death of Baal and his burial in the underworld, she goes in search for him and brings back his body and gives it a proper burial. After mourning his death, she goes to the underworld and defeats Mot in a bloody battle. Mot pleads for his life and claims that Baal’s death was a natural need! She cuts Mot into pieces and the pieces are thrown all over the land. It is at this stage that the principal deity El gets a dream that Baal could still be alive. He recalls Anath and together the resurrect Baal and appoint him the King. But Mot, who has not been completely done with, now wants to eliminate Baal completely and vows revenge. El, who is the father of both, resolves the feud by arbitrating on behalf of both. Having resurrected Baal and the whole atmosphere having changed, it was decided that one half of the year would see Baal ruling and the other half would see Mot’s rule. Let us put the above myth is perspective. 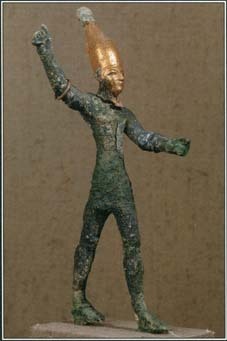 The above is the Canaanite myth of seasons. 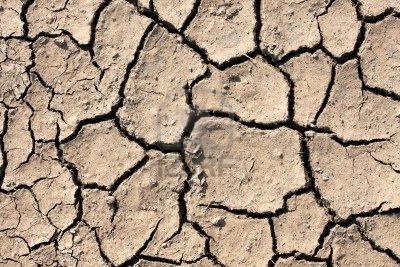 Baal represents vegetation and all life giving activities and Mot represents drought and lack of vegetation. When Baal decides to submit into Mot’s rule, we are approaching Winter. The death of Baal is the setting of winter, when no vegetation is seen and the ground is barren. The cutting to pieces of Mot is the cutting of dry wheat into chaff and spread all over the dry ground. The resurrection of Baal brings in the rains and the dry chaff is buried deep into the ground and soon bears life. By the time Baal is appointed King, it is the advent of Spring and Mot has to retire to the underworld. El’s resolution of both getting to rule is nothing but an acceptance of the cylical nature of seasons. Thus during the rule of Baal we see a different season with life all around us and during the reign of Mot we see barren and dry land and cold all over. The act of Baal’s copulation with a cow could be seen as an act of leaving some aspect of his fertility alive elsewhere. To explain further, there is some vegetation even during winter. (However we do not have more on this later due to missing aspects of the myth). Anat’s catalytic role is to be seen as different forces of nature which contribute to the advent of spring and the rains which come as an elixir on the dry parched land. Here is a classic case of twins in rivalry, one being a protagonist and the other being an antagonist. If we see closely, both are needed in the cycle of life. Without sunset, there is no significance of the sunrise just as without winter, there is no advent of Spring leading to summer. Our early thinkers have given us a beautiful myth to explain the cyclical nature of seasons and the relevance of both. It is this relevance and the necessity of two integral aspects in life that has been portrayed in the form of twins; similar, but at the same time different in their nature. There is no hero here and no villain, because both are needed for a balance in nature. With a focus on the seasonal explanation, a good literary conflict has also been built into the myth with the theory of rivalry thrown in. Please note that the myth is a voluminous one with lots of conversation and dialogue at the same time a lot of it has been missing from the original. The above is an extremely concise form of the myth with a lot of aspects of the myth eliminated to allow a fictional flow. The concept of twins has a sense of inseparable dualism inherent in it. Let us read about some of the most famous twins in Mythology, before we try to understand the actual meaning or the implication of this conflict. As per this Biblical myth, Cain and Abel were the sons of Adam and Eve with Cain being the elder of the two. Cain grew up to be a farmer and Abel became a shepherd. One day both made their offerings to God, Cain, the best fruit of the soil and Abel the best offspring of his life-stock. God was pleased with the offering of Abel which made Cain jealous. God tried to reason out with Cain, but Cain continued to feel rejected. Soon this showed up in the relationship of the brothers and once over an argument, Cain killed Abel. When God came to know about it, he cursed Cain that he would be continuously sought after by mankind for killing his brother. Later Cain was banished on the Eastern side of Eden and went on to become the first urbanite. According to Persian Mythology, Ahura Mazda was characterised by goodness, light and was responsible for all the good things created in the universe. Ahriman was his strongest opponent and stood for all the wrong and evil in this world, and is also responsible for creating all the negatives in the universe. The Persian mythology delves in great details of the constant conflict between the two, with the ultimate victory of Ahura Mazda over Ahriman. Romulus and Remus were the twin sons of the god Mars and Rhea. However, both of them were abandoned at birth and left in a basket and set afloat in a river. Later they were found under a fig tree and were suckled by a she-wolf. The abandoned children were then raised by a shepherd family. Later when the boys grew up, they decided to form a city. By following the flights of birds and the signs in the sky each decided to build a section of the city. However, the signs also determined that Romulus’s section would be twice as big as that of Remus. Remus angry and jealous of the larger share of his brother got into an argument, which led to Romulus killing Remus. Later Romulus went on build the city which was named Rome after him. When we analyze the myths, one thing is common and that is the constant conflict that we see in our daily lives. This conflict is both inevitable and unavoidable. The twin-ship brings out the inevitability of it and the nature of the conflict brings out the coexistence of the dual forces of nature in our lives. 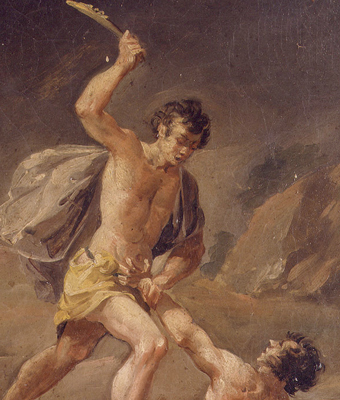 The Cain and Abel myth brings forth the sociological conflict that exists between the shepherds and the farmers, and this constant conflict today has transformed into the infamous urban and rural conflict. With each trying to impress ones supremacy over the other, this is both inevitable and unavoidable. The Persian myth brings forth the existing dualism of good and evil present in our world. Each power of good and evil lead to the destruction of the other, and through it the world has developed and has survived. This dualism can also be seen in the constant presence of the conflict of good and evil, right and wrong in our daily lives. Our daily lives are a constant fight of these opposites and on a given day, any one wins and on the other day the other force. Our daily life is an effort of striving for this balance between the opposites. Which twin dies on a given day is based on the circumstances and the individual’s ability to resist the pressures of the other. Majority of the twin myths are a fictional symbol of this conflict. No one is bad and evil is never defeated for good. The evil only enhances the relevance and the need of good and stands as a test to one’s ability to strike this constant balance that life presents us daily. Over the next few days, we will discuss some more aspects of twins in Mythology. Does fasting unto death amount to Coercion, or blackmail? This question has arisen in the recent ‘fast-unto-death’ undertaken by Anna Hazare. The discussion has been taken onto the level of ‘in-principle’. Many well-known opinion-makers and self-proclaimed societies conscience-keepers have said that ‘in-principle’ such acts are not correct. In a democracy this could be a deadly ‘weapon’ that could be misused and the government could be regularly blackmailed to give in to the civil societies demands. What seems to have been overlooked is that this act is a non-violent weapon, if a weapon at all. Also, does the government not exist for the civil society or is it the other way round? The issue of blackmail or coercion is a secondary issue. In my opinion the issue is at a different level. If we sideline the blackmail idea for a moment – then this is nothing but the classical issue of means and ends. To achieve a definite objective, we resort to certain means – the end justifies the means, in this case. The right methods need to be taken, whatever it results in being immaterial, is means dictating the end. In the epic Mahabharata, Lord Krishna tells the Pandavas prior to the war of Kurukshetra that their focus should be on the end, which is the establishment of the rule of dharma. The war is just the means to achieve the objective. To achieve the ultimate end, which is so noble, if the means are not-so-noble, then so be it. Breaking or rather bending a few rules is not quite sacrilegious, as long as the end goal of establishing the law of dharma and establishing the rule of right over wrong is achieved. The inevitable bloodbath during the war of Kurukshetra has to be seen in this regard. Enough crimes were committed – attempts to kill the Pandavas, depriving them of their right, dignity and livelihood, disrobing of Draupadi in public and many more such acts are to be seen as the overflowing of the cup of woes. Conciliatory efforts were made prior to the war and the option of peace was exhausted. War and the annihilation of the perpetrators of evil was inevitable and the need of the hour. Was there any other option? Anna Hazare’s act of ‘blackmail’ needs to be seen in this light. Was there an option? Hadn’t we had enough? Has democracy not been taken for a royal ride? Can voting once in five years undo the wrongs of the last five years? For certain issues, is it worth the wait? Do the likes of Ms. Tagore and Mr. Bhatt, who have no meaningful claim to fame, have any better suggestion, besides telling us about the harmful effects of such acts on democracy? Even if Anna Hazare was wrong ‘in-principle’, was it not for the larger good of the society and a noble one at that? The nation rallied behind one man, as that seemed to be the only ray of hope in the grim horizon. If this man is guilty of blackmail and coercion, what would you term similar acts by the Father of the Nation about half a century back? To borrow from a recent product commercial, I can only say, that if this act of blackmailing is a blot on the fabric of democracy, then yeh daag achha hai! All of us have read in Ramayana about the Sita giving birth to twins after she was banished by Ram. She gave birth to Luv and Kush in the hermitage of Rishi Valmiki. Here is a different version of the same myth. After Sita reached the hermitage of Rishi Valmiki, she soon gave birth to a child, who was named Luv. Once when Sita had to go to the forest to collect wood, she left Luv in the custody of Rishi Valmiki. Soon Rishi got busy with his work and Luv crawled away to the forest after Sita. When Rishi Valmiki realized that the child was nowhere, he got worried and thought that Luv must have wandered away and become prey to some animal. He didn’t have the heart to tell about his negligence to Sita and have her heartbroken. He took kusha grass (the auspicious grass that is used for rituals) and created another Luv! Soon Sita came back with Luv and was surprised to find another child who was a duplicate of Luv. Since the child was created from the kusha grass, he was named Kush. There are two theories to this. One is that in those days or the creators of this version did not understand the concept of twin births and so created this version. As mentioned earlier, twin births have always been a matter of intrigue to our early thinkers. So this could be seen as resolving an early problem or an intrigue and trying to seek an explanation that Science has now given to us. Another more interesting theory is that if this version is true, then is this an early indication of cloning? Did our rishis have such knowledge? Given that we have to give some space for fictional aspect of the myth (rationalists would say, that even if it was a clone, the clone would still be younger than the original Luv! ), then can this be negated? Or was it an idea that the author of this version had as wishful thinking that our present day scientists seem to be indulging in? Or finally, is it that our skeptic and ever-doubting mind is seeing too much into a simple and an insignificant aspect of the epic? Myths are the creations of non-literate, unscientific, oral cultures. They were either seeking answers or giving explanations or setting standards, both moral and ethical. No aspect of any myth is insignificant as all myths carry symbols. So are we missing something? 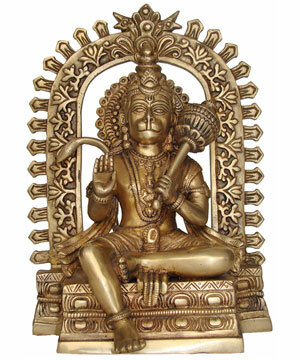 Today is Chaitra Purnima, which is also celebrated as the birth date of Lord Hanuman. Though it is well known that Hanuman was the son of Anjani and Kesari, the chain of events leading to his birth is very interesting. It started when Lord Shiva was very impressed with the celestial dance performed by Mohini, the female form of Lord Vishnu. So enchanted was he by the performance of the enchantress, that he offered her a gift. Mohini asked for the essence of what Lord Shiva stood for. Shiva then gave Mohini the seed of his tapas in the form of a blazing seed. Mohini took the seed and gave it to the sapta-rishis, the seven sages asking them to guard it well as this would take the form of a mighty being who would one day be a great support to Vishnu during one of his avatars on earth. The being would be legendary in more ways than one. Later at an auspicious hour, the sapta-rishis gave the seed to the wind god, Vayu and advised him to give it to her who was worthy of Shiva’s seed. Vayu was secretly in love with Anjani, the wife of the monkey Kesari. Anjani was also a devout worshipper of Shiva. Once when Anjani was sitting atop a hill worshipping Lord Shiva, Vayu dropped the seed through her ears into her womb. Before we proceed further, it is important to know Anjani a little better. Anjani was no simple monkey. Anjani was actually an apsara who was an attendant to Goddess Parvati in Mount Kailash. Once during a thunderstorm, she rushed into the arms of Shiva in sheer fear. This upset Parvati so much that she banished Anjani form Kailash and ordered her to live in the jungles with the monkeys! When Shiva realized Paravti’s folly, he blessed Anjani that she would bear a child who would be an embodiment of Lord Shiva. The seed dropped in Anjani’s womb was soon born as the monkey child, Hanuman who was an embodiment of Shiva both in strength and wisdom. As destined, he went on to be a big support to Lord Ram, an avatar of Lord Vishnu and needless to say that he was legendary in more ways than one. Lord Hanuman is thus known as Anajani Suta and Kesari Nandan after his parents Anajani and Kesari. He also known by all the names of the wind-god, i.e. 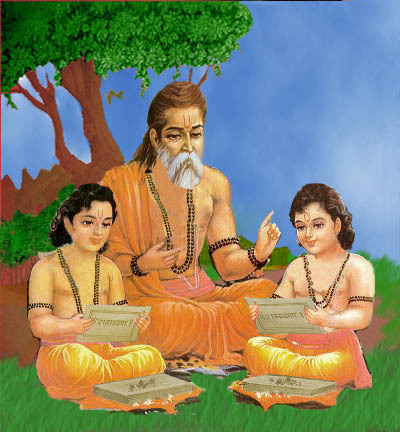 Vayu, Pavan and Marut, viz. Vayu-putra, Pavan-putra and Maruti, respectively. Hanuman is also referred to as Raudreya after the Rudra form of Lord Shiva! It is said that the Gods were fed up of Ravan and the demons who had made the life of Rishis and the gods miserable. It was time for Vishnu to take an avatar and Ram’s birth was imminent. King Dasharath of Ayodhya was married to Queen Kaushalya, but they could not produce an heir. Dasharath married Kaikeyi, but the same and same with his third wife Sumitra too. After all the efforts, when the King did not have an heir, he was suggested to perform a Yagna and seek divine intervention. During the Yagna, the Lord appeared from the flames and offered a bowl of divine potion for the Queens to consume. The King distributed the same equally amongst his three Queens. Some versions say, that both Kaushalya and Kaikeyi loved the youngest Sumitra so much that they decided to give some portion from their share to her and that is why Sumitra had two sons as compared to the other queens. King Dasharath was soon blessed with four sons, Rama to Kaushalya, Bharat to Kaikeyi and the twins, Lakshaman and Shatrughna to Sumitra. The epic goes on to mention that Ram was born on the ninth day of Chaitra month (which is celebrated as Ramnavmi), Bharat early next day, i.e. on the tenth day of Chaitra and Lakshaman and Shatrughan were born during the latter part of the tenth day, thus establishing the seniority of Ram. Lakshaman and Shatrughan though mentioned as twins, the epic does not delve in the details of the same, w.r.t. them being identical twins or not. Some version go on to complicate the distribution of the divine portion as half to Kaushalya, out of the balance half, Sumitra gets a significant portion, and as an afterthought, Dasharath again distributed the remaining between Kaikeyi and Sumitra. This amounted to Sumitra consuming the potion twice. During the times of mythology, twins was a known fact, except that there was no explanation for the same. Thus such instances were created by the authors to explain and justify the concept of twins. This was necessary, as mythologies world across is replete with examples of trouble after the birth of twins, due to a proper understanding of the concept! (This is a subject by itself which we will discuss sometime in future). The birth of mythological heroes has always been ‘different’ which is a precursor to the events that follow. Be it divine intervention or through ‘yagnas’ (sacrifices) especially in Indian mythology, the birth of a hero has always been different. The same can be seen in other mythologies too. 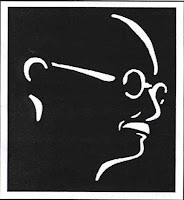 A recent book on Mahatma Gandhi by Joseph Lelyeld has created a furor in India. To correct myself, it is a review of the said book which has created a furor as the book has not been read as yet. The error of understanding is on the part of the reviewer or the author, is yet to be ascertained, but the ‘guardians’ of Gandhi have taken upon themselves to ban the book already. India has a rich tradition of banning books without reading them – a rare distinction in a democracy! 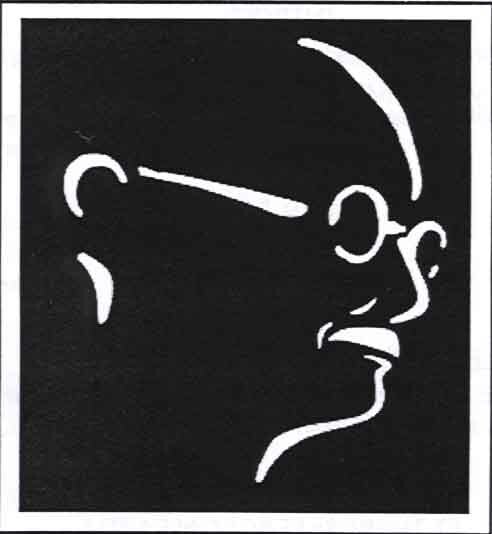 A person of Gandhi’s eminence who was a champion of democracy and a person who had opened his own life to scrutiny by writing his brutally frank autobiography – does he need modern day guardians to protect him or his legacy? Who has given our politicians the right to ban a book which they have not even seen, forget read? Is this being fair to Gandhi who would have called for a debate, rather than take such a derogatory step? Are the people who are turning into his guardians, even eligible to lay a claim on his name or is regional association a good enough cause for ‘owning’ Gandhi? Having taken it on them to guard Gandhi, I want to ask, does someone like Gandhi, need mortal aid? Is his legacy so flippant, that he needs some botched hands to guard him? Can his contribution not overshadow a few grey shades of humanity in him? Has there been any human being who is not a combination of both good and not-so-good qualities? Can anybody identify absolute goodness in any individual? And if yes, who defines such goodness? There are many references in mythology, where we have treated our heroes in a similar manner. Bhishma from the epic Mahabharata is known for his great sacrifice as well as his contribution to the Kuru family, but we don’t forget to accuse him of his silence during Draupadi’s disrobing. Ram in Ramayana, known for his selflessness, bravery and his ability to mobilize support, is also remembered for his single act of banning Sita in his later life. Same with Krishna, the orator of Gita, a treatise of righteous path and Dharma, is nonetheless referred to as a ‘politician’ for certain acts or decisions taken by him during the war of Kurukshetra in Mahabharata. Despite the singular acts of omission or commission by such mythological heroes, their contributions have not overshadowed their personalities. I would think that the same is applicable to a personality like Gandhi. The overall contributions have been assimilated, but errors (a debatable term) are being gloated upon. When we look at today’s politicians promoting their children, we accuse them of nepotism. When we read about Gandhi not championing the cause of his son, we call him a bad-father (and we also call him the father of our nation!). If this is not our inherent double-standards, then what is this? Finally, I am a staunch critic of banning books, no matter what it says. Besides giving the book an avoidable publicity, banning also demeans the personality or the religion it allegedly defames. Democracy demands debate and advocates choice. As a responsible citizen, I must be given a choice to decide what I read and what I don’t. Illiterates should not take this decision for me. What is it about April fool’s day, also known as All Fools Day? What is it that makes one and all make someone a fool and still get away with it? The origins are traced to the change of calendars. Way back in 1564, King Charles IX changed the beginning of the year from April 1, to January 1. The change did not go down well with many and they stubbornly decided to continue with the old date. Many who accepted the change would make fun of people who did not accept the new date, by sticking a picture of fish behind them, and referring them to as ‘April fish’ which till date is how the French refer to April Fool’s day. Soon this became a custom of fooling people on this day. There are also mythological references of this day. According to Roman Mythology, Pluto the god of Dead, once kidnapped Proserpina and lived with her in the underworld. Proserpina called out to her mother, Ceres, the goddess of grains and harvest, but all Ceres could hear was the echo of her daughter’s voice. Ceres looked for her daughter in vain and this fruitless search for her daughter is considered to be the mythological precursor of the fool’s errands which is so popular on this day. According to Christian mythology, it was on this day that Jesus was sent from Pilate to Herod and back during his trial. This unnecessary back and forth sending was also the beginning of the famous fool’s errand. Some scholars also refer the act of Noah releasing the first dove to check if the flood waters had receded as being fooled by nature as the waters were still around. 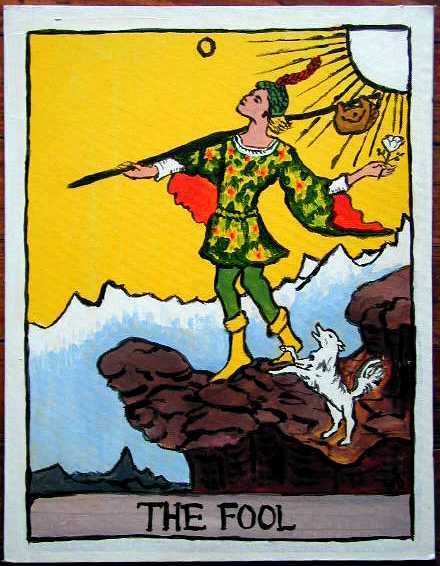 In the medieval times the image of the Fool as the symbolic patron saint of the day was very prominent. 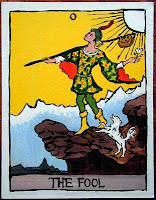 The Fool was distinct in his multicoloured dress with a horned hat and a sceptre and a bauble in hand. To this day, we celebrate the day in all good earnest and with no malice. The best thing about this day is that nobody takes offense when you fool someone, which leads to a great amount of fun and joy, even if it is at the expense of someone else. This also has to do with the advent of the Spring season when people are in great spirits and thus celebrations are all centred around pranks, teasing and fun. This element of fun has been brought about very well by Shakespeare in his comedy, The Midsummer’s Night Dream, which celebrates the fun and frolic associated with the Spring. In India we start the season with the advent of the festival of colours, Holi, which too is all about fun and frolic. So whatever, be the origin, historic or mythical, on this day, go ahead and have fun. Tease, fool and have fun, but make it harmless and don’t hurt sensibilities. A day when fooling is in order!